Estate Planning is important, no matter what the size of your estate may be. Through proper estate planning, you ensure that your assets will go to your intended beneficiaries. You also may save money on taxes, court costs and attorneys fees, and prevent squabbling among your heirs and financial confusion after your death. You can also avoid probate. In addition, you can protect your estate assets in the event of your possible future mental or physical incapacity and the catastrophic costs of long-term medical and nursing care. The Law Office of Donald D. Vanarelli is committed to helping you protect the assets you’ve spent a lifetime accumulating, so that you can provide for your future financial needs and leave a lasting, fulfilling legacy to your loved ones in years to come. Can You Answer These 10 Questions? What happens to my assets if I become incapable of handling my affairs? How will my family inherit my assets? How can I be certain my money will stay in my family? Will my spouse and children be able to survive financially? What happens to my Individual Retirement Accounts (IRAs) and other retirement assets? How can I simplify the estate administration process for my family? I have a “blended” family from different marriages. What happens to them? What happens to my disabled child? If you can’t answer these questions, you should begin the estate planning process now. 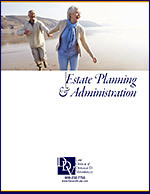 Click here to download the Estate Planning Brochure. With a will, you can: (1) direct where and to whom your estate will go after your death; (2) make the administration of your estate much easier for your heirs; (3) choose the person to administer your estate and distribute your assets according to your wishes; (4) reduce estate taxes; and (5) appoint a guardian for your minor children. The durable power of attorney is the most important estate planning instrument available – even more useful than a will. A power of attorney allows you to appoint an agent to act in your place for financial purposes. An advance medical directive allows you to: (1) give instructions to medical providers concerning your care if you are gravely ill, and (2) choose a medical agent to make health care decisions for you if you are unable to do so yourself. A trust is a legal arrangement through which one person (or an institution, such as a bank or law firm), called a trustee, holds legal title to property for another person, called a beneficiary. The rules or instructions under which the trustee operates are set out in the trust instrument. 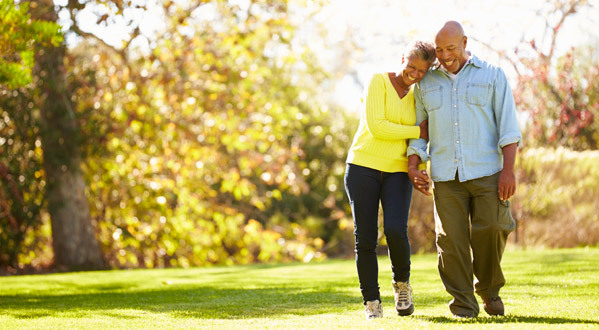 Some advantages in establishing a trust are: avoiding probate; tax savings; protecting property from creditors; providing for the continuing care of a disabled child or other relative; and, helping to qualify for Medicaid or other needs-based public benefits. As part of the analysis of your particular situation, it is important to make certain that your assets are titled correctly so they pass to your loved ones as you intend. For additional information regarding Estate Planning and Administration, call us at 908-232-7400 or click here to contact us online.